It is to provide a fun, unique and up-close experience that strengthens the bond between people and wildlife. The first animals, unwanted pets, were donated and housed in make shift cages. In the 1920’s the addition of the Amphitheater brought many people to the park and Zoo. Bears, local cats, hoof stock, and birds were added to the Zoo and housed in log cabin type exhibits. The American Association of Zoological Parks and Aquariums (AAZPA – now AZA) officially recognizes that the Roeding Park Zoo opened in 1929. In the 1930’s the Zoo continued to grow in a rather haphazard manner as more animals were added to the collection. The cat barn exhibit and small chain-link cages were built by the WPA program. By 1947 the Roeding Park Zoo had grown considerably with new species of exotic animals. Eldon “Curly” Blocker was hired from the San Diego Zoo to serve as the Zoo’s first foreman. More modern grotto-type exhibits were built. In 1949 Nosey the elephant was purchased with the help of the Fresno Rotary Club and donations from thousands of school children. A Name-the-Elephant contest was held in anticipation of the new arrival. Thousands of school children sent in their pennies, nickels, and dimes. On September 11, 1949 a colorful “49er’s” Days Rodeo Parade was completely dominated by the young elephant named Nosey. The success of the event resulted in the formation of the Fresno Zoological Society in 1949. The purpose of the Society was to support and create interest in the development of the Zoo, and to raise funds for improvements. One of the first major exhibits built after the formation of the Society in 1949 was a modern “Monkey Island”, complete with indoor den and a water moat. In the 1950’s exhibits for the sea lion, camel, sun bear, hippopotamus, giraffe, assorted birds, and flamingos were completed. The Roeding Park Zoo became an institutional member of the American Association of Zoological Parks and Aquariums (AAZPA) in 1957. One of the most effective early exhibits was the walk-through aviary, constructed in 1960 by the Park Division with Zoo Society generated funds. Also in the 1960’s the ape grottos and the rhinoceros exhibit were completed. The Bronx Zoo donated three pairs of crocodiles. The Zoo grounds were unfenced and admission was free to visitors until 1963. The Fresno City Council adopted an admission policy because of the rising costs of construction and operation. A Parks Zoo Admission (Trust) Fund was established to control revenue received from Zoo admission charges and to underwrite the cost of future capital improvements. In 1965, Dr. Paul Chaffee was hired as the first Director of the Roeding Park Zoo. Responsibility for management of all aspects of the Zoo shifted from the Zoological Society to the Zoo Director. 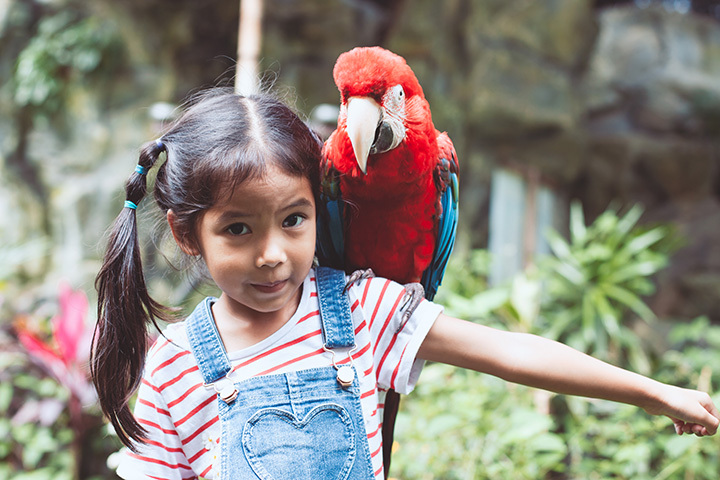 With the addition of Dr. Chaffee, new programs of nutrition, quarantine, treatment, and education were established to meet the growing professional standards of zoos. During the 1960’s many of the Zoo’s exhibits were improved for the comfort of the animals, including the addition of heating in many of the primate quarters. The large bird-of-prey exhibit was constructed under the direction of the Parks Division in 1967. The first Zoo master plan was drafted in 1968 to guide the future development of the Zoo. In the 1970’s the Education Coordinator was hired to individually operate the Zoomobile at schools and to develop other educational programs. This position later became known as the Curator of Education and is now the Director of Education. In 1971, Zoolynx was founded and the present docent program was initiated. By the mid 1970’s the Zoo had grown by another third to include the areas containing a new bison-elk and prairie dog exhibit complex. During the national celebration of the bicentennial in 1976, the grizzly bear exhibit was improved and enlarged. The sea lion exhibit was renovated and swan lake was remodeled in 1977. Many other small exhibits as well as the concession stand and the restrooms were remodeled during this period. The Zoo Master Plan was updated. In 1978, the Park Zoo (Trust) Fund was established to control revenue received from the operation of the concession stand and to use these funds for Zoo improvements. The first major exhibit for the Zoo, which would prove to be one of its greatest assets, was the Edward A. Kane Reptile House. The facility was built in 1979 at a cost of about $633,000. It was the first computer controlled reptile exhibit building in the world. The lighting, temperature, and humidity could be separately set and maintained for each exhibit. In the 1980’s the admission to the Zoo was increased. A new entrance to the Zoo was completed and a Clement Renzi statue, worth $100,000, was purchased and placed in the plant area by the entrance. The Galapagos tortoise exhibit was built, a hoof stock moat was installed, improvements were made to the sea lion pool to meet the new regulations concerning marine mammals, and the small cat cages were combined to form two larger and more natural exhibits for lions and tigers. In 1981 an Arbor Way was constructed on the south end of the Zoo and the hippo display was remodeled. Nosey, the elephant, had her old asphalt exhibit replaced in 1982 with a large modern dirt exhibit (for about $950,000), with a waterfall, pool, and interior night quarters containing remote controlled hydraulic doors. Two other female elephants and one male elephant joined her that year. It was the first time in 33 years that she had seen another of her species, and it took her six months before she went into the pool. The rest of the early 1980’s saw the renovation of the flamingo exhibit (1982), lemur island exhibit (1983), Zoo entry walkway lighting and landscaping (1983), wolf woods (1984) and the scimitar-horned oryx exhibit (1984). In 1984, the Doris & Karl Falk Wildlife Education Center was completed through the donation of funds from Drs. Falk, long-time devoted supporters of the Zoo. This building would become the backbone of the educational department at the Zoo. In 1989 the Falk’s again donated funding for a large classroom addition to this facility, including office space for the growing Fresno Zoological Society. The Zoo Society was by now very successfully raising funds for Zoo improvements through its membership program; adopt-an-animal program; and special events such as “Breakfast with the Animals”, “Safari Night”, “Singles’ Night”, and “Christmas at the Zoo”. In 1985, the name of the Roeding Park Zoo was officially changed to the Fresno Zoo. During the late 1980’s all of the exhibits for the antelope, giraffe, camels, llamas, and zebras were remodeled and new shelters and barns were built. Many of the older chain link cages were demolished to make room for newer exhibits. Also, the kit fox exhibit was constructed to the north of the bison exhibit and the existing Education Building was increased by adding 2000 sq. ft. In 1988, the Tropical Rain Forest Exhibit, at a cost of about $2.2 million, was completed. It is 55 feet high and about a half acre in size. It features plants and animals representing what people might see in a rain forest anywhere in the world. The Fresno Zoo was renamed the Chaffee Zoological Gardens of Fresno in 1990 in honor of its longtime director, Dr. Paul S. Chaffee, who passed away that year. It became more commonly known as the Chaffee Zoo. Also that year, Nosey the elephant’s former unused exhibit was converted to a gift shop called “Nosey’s Treasure Trunk”, and the sea lion exhibit was again remodeled to look more natural. In 1990, the new Zoo entrance was constructed on the west side, across the street from Rotary Playland and Storyland. This was the last project to be funded by the Zoo trust fund. In 1991, Ralph Waterhouse became the new Zoo Director. Mr. Waterhouse brought to the Zoo the experience of directing complete renovation of two municipal zoos, years of chairmanship of American Zoo and Aquarium Association’s (AZA – formerly AAZPA) Accreditation Commission, fiscal controls, and a higher standard of animal husbandry, conservation and education. He established a professional working relationship between the City Zoo employees, Zoo Society staff, and volunteers. He also rebuilt confidence in professional Zoo operations within the local media. In 1991, the Zoo budget was transferred from the City’s General Fund into a Zoo Enterprise Fund in anticipation of “privatization” of the Zoo. For the first time since an admission fee was charged, all Zoo revenue was placed in the Enterprise Fund for operations. Spending the remaining funds on capital projects gradually eliminated the City’s Zoo Trust Fund. Capital improvements funding was transferred solely to the Fresno Zoo Society. In 1992, Ross Laird’s Winged Wonders Bird Show began its presentations in the newly fenced area around the Amphitheater, adjacent to the Zoo. This area encompassed the Falk Education Building and the Zoo Society office, creating a new special events fund raising location for the Zoo. The Zoo had now reached a size of about 18 acres. In 1992, the Zoo hired its first full-time Zoo veterinarian and the former Zoo nursery was converted into a small Zoo animal clinic. Animal mothers had been encouraged to raise their own offspring with less assistance from the Zoo staff, so the nursery had not been needed for several years. A campaign was begun by the Zoo Society to raise funds for a larger fully equipped animal hospital within seven to eight years. The Zoo’s administration office was moved from the old building inside the Zoo and into the former and much larger Parks Division office building outside the east side of the Zoo. In 1993-94 the Education Department hired an Education Specialist and Natural Historian; visitors were offered an opportunity to experience a ride on a camel; a new giraffe barn and expansion to the hoofstock exhibit was completed. The chimpanzee and grizzly bear exhibits were enlarged and improved, the concession stand was remodeled, construction of an Australian walk-thru aviary, construction of a petting zoo (Small Wonders), remodeling of the Zoo animal commissary, and construction of a toucan exhibit within the Tropical Rainforest exhibit were completed. Nosey the elephant passed away in 1993 at the age of 47. From 1996-2000 the Education Center was expanded to include a multimedia laboratory with computers and up to date AV equipment. A new area was constructed, called the Jungle Bungalow, to provide space for birthday parties in the Zoo. Plans for the construction of a new hospital near the south end of the Zoo were begun. This facility would include up-to-date equipment, a quarantine section, a sterile surgery, housing for sick animals and a separate necropsy room. Plans were also begun for the construction of orangutan and tiger exhibits, and a new gift shop at the Zoo entrance. The concession stand, the dromedary camel, addax, bison, chimpanzee, and wolf woods exhibits were renovated. A new Zoo Master Plan was adopted in 1996. A 240-acre off-site conservation center was established in 1997 to house and breed hoofstock. It was planned to expand the number of animals managed by the Zoo and be a resource for other zoos in the western U.S. Due to permit problems, an essential road could not be constructed and the center was closed in December 2001. The construction of the Safari Trading Gift Shop and the Chaffee Memorial Zoo Hospital were completed in 1999. In 2000, the north duck pond, kookaburra, grizzly bear, and lesser spot-nosed guenon exhibits were renovated. In 2001, Sunda Forest which featured orangutan and tiger exhibits was completed. The African Veldt hoofstock area, serval, fennec fox, prairie dog, leopard, keel-billed toucan, peccary, and bird-of-prey exhibits were renovated. In 2002, the wart hog and red ruffed lemur exhibits were remodeled. The food storage barn was enlarged and a hand wash-station and a hay storage barn were added to the Small Wonders Exhibit. In 2003, the anteater exhibit, the alligator, and sarus crane exhibits were renovated. Restrooms were constructed at the entrance. Director Ralph Waterhouse retired in 2003. Also in 2003 a ten-year girl named Angel Arellano sent a letter to the Fresno Bee expressing her support for the Zoo. This was the start of a fund raising drive that has since netted about $700,000. That effort, along with years of working towards privatization of the Zoo, culminated in Measure Z which appeared on the ballot in November 2004. The tax measure required two-thirds of the voters to approve a Fresno County tax of 1/10th of one percent – or one dime out of every $100 spent on retail transactions – to go to the Fresno Chaffee Zoo capital improvements. With significant support from local corporation Pelco, the measure passed by 73% and the Zoo began receiving funds on April 1, 2005. Two-thirds of the funds, estimated to be $100-$120 million over ten years, are to be spent on capital improvement projects and up to one-third spent on operations and maintenance of the Zoo. The Fresno County Zoo Authority is the public agency responsible for the administration of Measure Z, the unique transactions and use tax (sales tax) which is collected throughout Fresno County for the support of the Chaffee Zoo in the City of Fresno. The Zoo Authority is governed by a seven-member board. This board consists of six qualified electors (Fresno County voters) who are appointed by the Fresno County Board of Supervisors, plus the Mayor of Fresno. A different organization, the private non-profit entity, Fresno's Chaffee Zoo Corporation, that took over the Chaffee Zoo from the City of Fresno on January 1, 2006, is responsible for the Zoo. The name of the Zoo was changed to Fresno Chaffee Zoo and in May 2006, Lewis Greene became the new CEO/Director. The Zoo Society was disbanded effective June 1, 2006. In May 2009, Scott Barton became the new CEO/Director of Fresno Chaffee Zoo. In July 2007 the Zoo released a Facility Master Plan that will serve as the “roadmap” for future Zoo development.